One of the oldest methods of clothing manufacturing, knitting has survived the test of time and remained relevant through the millennia. Its ease and adaptability has lent itself as the perfect medium for hobbyists and professionals alike. Our knitted scarves continue the storied tradition of yarn-crafted construction, with a modern twist. Almost unlimited customization allows you to express your fanhood through yarn-based neckwear while showing off your modern style through elaborate designs of your choosing. Don’t settle for off-the-shelf designs – take control of your neckwear and show off your uniqueness and individuality (with 24 of your closest friends, teammates, family members, co-workers and more). Diehard’s 100% custom knit scarves are available in two types – The Classic is a soccer-style scarf and features the traditional yarn patterning we’ve all come to love, available in six yarn colors and with unique artwork on both sizes. Our most popular style measures 61” x 7” and has the lowest minimum order quantity. The Premier takes knit scarves up a notch, featuring a softer and fuller feel with gorgeous six-color decoration on both sides. 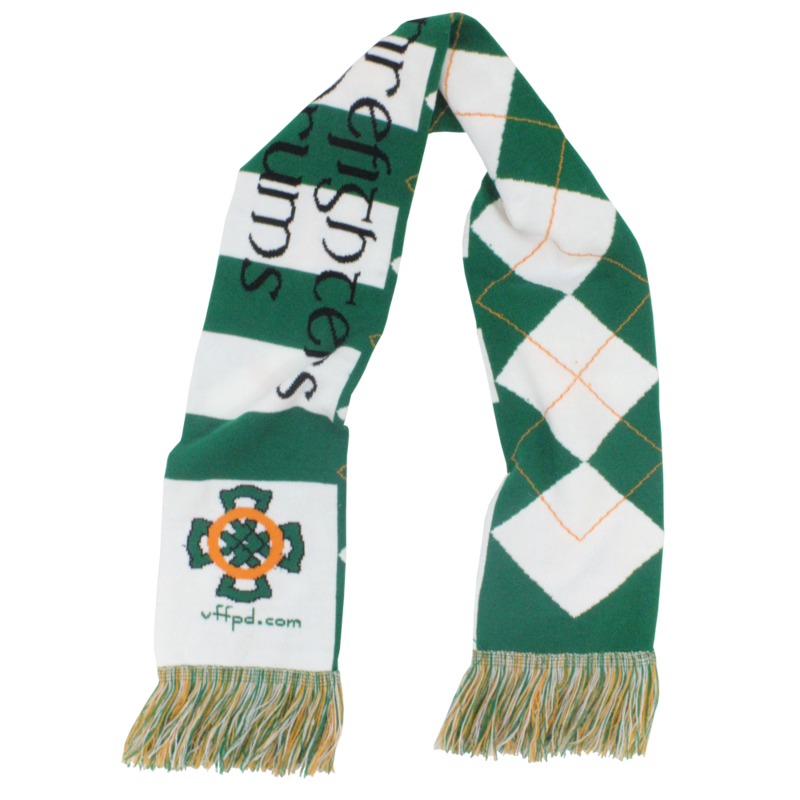 Designed to be the new standard in knit scarves, and allows you to show off your detailed logo with more clarity than The Classic. The classic soccer style scarf, this style allows up to 6 colors of thread and unique artwork on both sides. Our most popular, this scarf is both affordable and has a very high perceived value. Similar to The Classic, this is also a soccer style scarf, but it allows for much more detailed decoration, up to 6 colors of thread and unique artwork on both sides, and also has a softer and fuller feel for a more retail grade scarf. 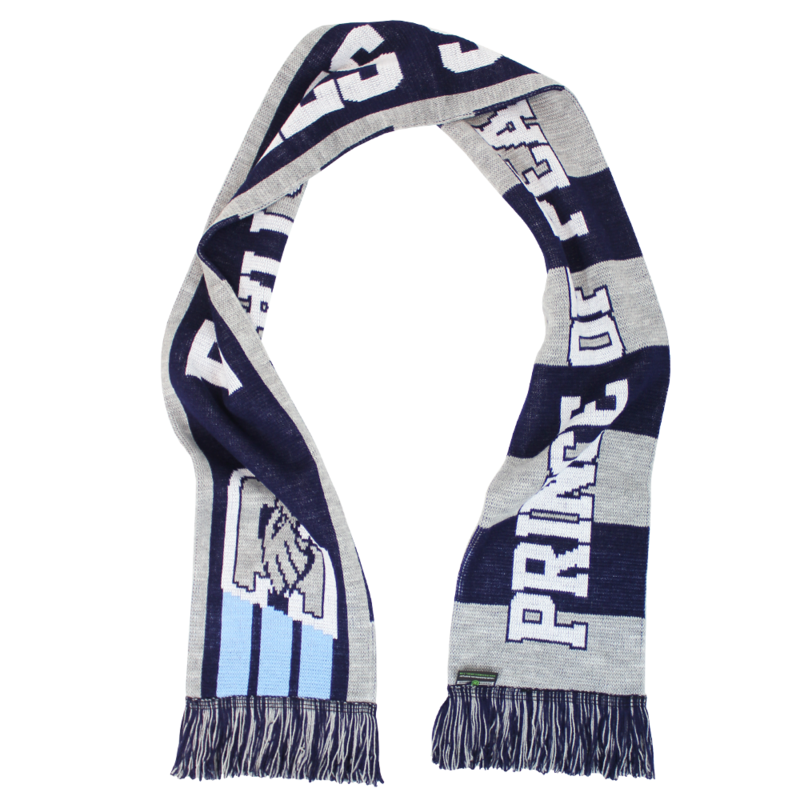 This product was designed to be the standard in custom soccer scarves. Color Up to six colors. Pantone matching available.